Dr. Camara-Besa is a medical educator and researcher. She has worked on the sodium and potassium content of Philippine foods and established standards useful in the preparation of diets. Her series of eight papers on cholesterol levels in relation to diets of various segments of the Filipino population which are very important epidemiological basic data on the Filipino give an idea of the importance of fats and cholesterol in the epidemiology of atherosclerosis among Filipinos. Some of Dr. Camara-Besa's researches were award winning. 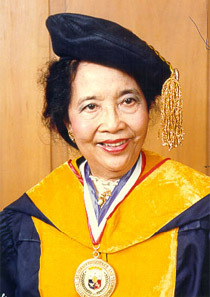 She was a Barbour Scholar, University of Michigan from 1939-1940 and is a member of various honorary and learned societies.